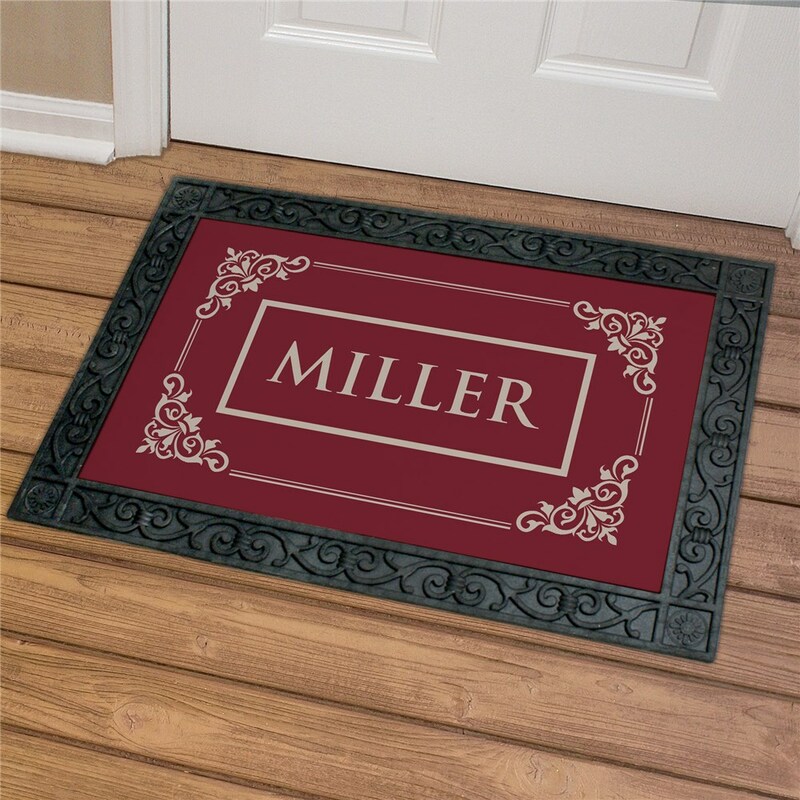 Our sleek filigree welcome mat will never go out of style. Display it outside your home's entryway for a more sophisticated look and feel. We recommend giving this as a housewarming gift to family, friends, and new neighbors. Free personalization of any family name and design color is included. 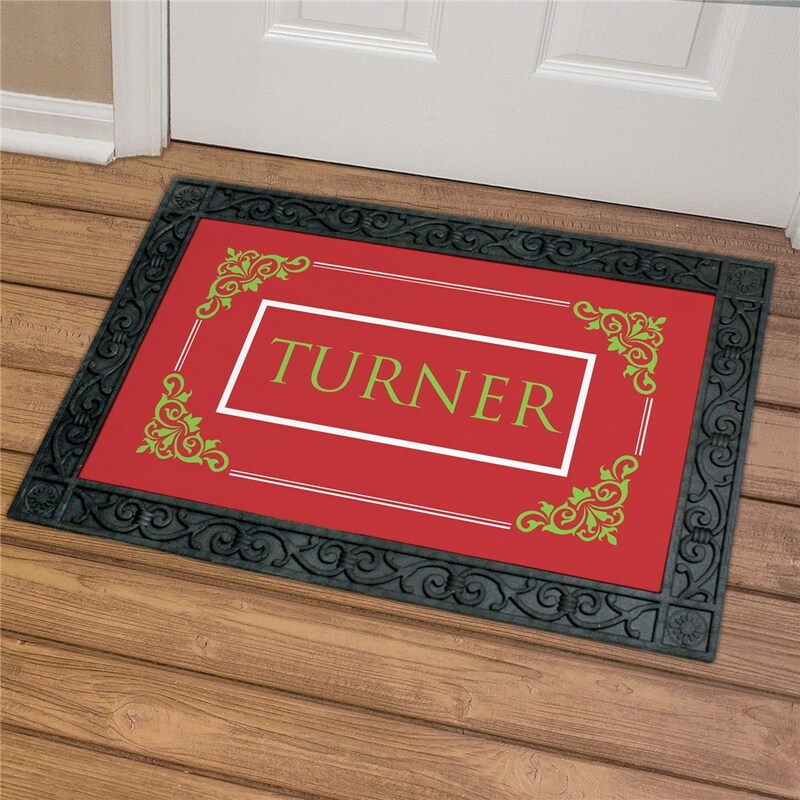 Pretty nice door mat that greets visitors with elegance and style.